After discussing with the girls their interests and the skills they wanted to learn. The girls were enrolled in classes to learn skills and gain practical knowledge on how to start a micro-enterprise, to help them support themselves when the time of their reintegration comes. Bakery and pastry, how to make specialist celebration and birthday cakes. Costume jewellery, and how to make ornaments and manufacture of quality products. Cooking, how to make high quality goods for sale or to enter the job market. Some equipment was purchased to support the micro food-selling business of one of the girls who continues to be supported by La Alianza. Also, this month, several visits were made to follow-up and support the implementation of other micro-enterprises. At the kick-off event to our pilot entrepreneurship project one of the girls made cakes for sale., all profits to be ploughed back into her project fund. In addition, she was enrolled in two courses at the Technical Institute of Training and Productivity (INTECAP), to continue with her training in the speciality of pastry and cake making. 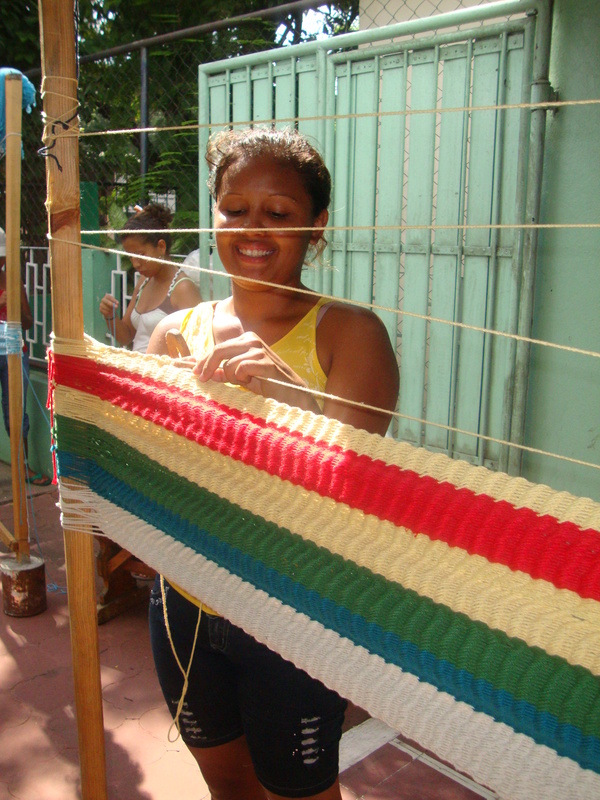 Another girl was enrolled in weaving classes using a loom; she is perfecting the technique to start a business selling these handmade specialised fabrics and designs. Of independence, integration and the ability to earn money to support themselves and their future. Please donate towards the cost and give a girl a future. previous post: Young future leaders met in Guatemala to reiterate their commitment to gender equality as a development tool.